on our hands and in our blood. Meet Anthony Rehbein, fourth generation farmer from the Hummock, QLD. 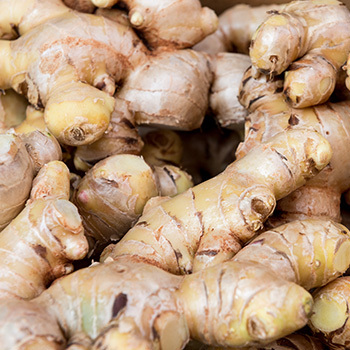 We think our ginger goes on just about anything and our recipe collection is a great guide to everything gingerific. 100 percent Australian ground, pickled, ginger bites and fresh ginger available to buy now. When you buy from Bunda Ginga you are supporting a Queensland grown and produced product. Bunda Ginga is premium ginger that will set your tastebuds wild, the zing and zest of this spice will leave tingles in all the right places. The only wholly Australian grown and processed pickled and ground ginger product, ginger bites and fresh ginger can be purchased online now. 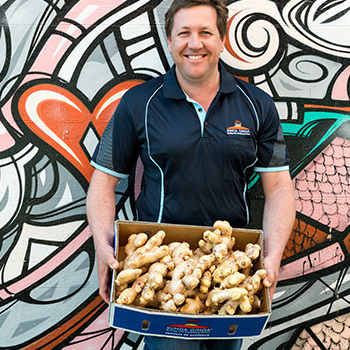 Hand picked, hand packed and hand grown on site in Bundaberg, Queensland boxes of small, medium, large and premium ginger are available for wholesale distribution. Contact us to find out more or request your own Bunda Ginga box.